Different techniques on making scrapbook pages. I had such a great time in my Rubber Stamping class today! I made a few new friends and we did about 18 projects altogether! One of the projects is a stationary box. Below are the instructions for the box in case you missed it in class. This is my first attempt at creating digital scrapbook pages from scratch. 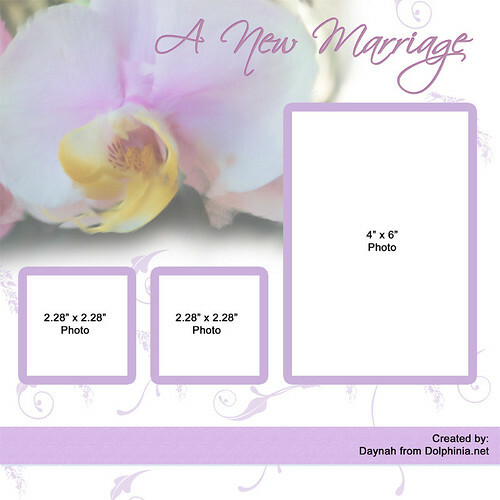 It’s the start of a “New Marriage” scrapbook template set. Please let me know what you think and how I can make this better. Software/Hardware used to create this were: Adobe Photoshop, Corel Painter Essentials 4, and Wacom Bamboo. Spring time is here! And that means time for vacation plans. Which means taking a lot of photos… which also means lots of scrapbooking. :) Here are some clever ideas Online Drugstore, buy Motilium online, Free shipping, buy prednisolone online, Discount 10% in Cheap Pharmacy Online Without a Prescription on how to preserve your travel memories. Enjoy easy scrapbooking? Well here’s a tip for those of you who enjoy making scrapbook calendars. Below are three templates that I thought looked nice. Pick one that you like. Then make any text or color changes, and print it out. Be sure to use archival paper. Now embellish your calendar with stickers, photos, and journaling. Mount it on a 12×12 paper, or put it in an 8×11 scrapbook. It’s a nice fun way of keeping track of an entire year without having to spend too much time. Note: You will need Microsoft Office to use these templates. Here are some Online Drugstore, buy baclofen online, Free shipping, buy Lexapro online, Discount 10% in Cheap Pharmacy Online Without a Prescription very cool stamping techniques!